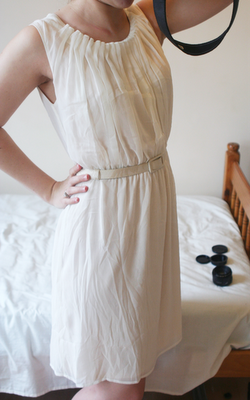 I'm pretty excited about a few things right now, one being that I finally found a dress for Kaitlyn's wedding. I didn't end up getting the one I mentioned in this post. Instead I found one from H&M. I love it because it's flowy and soft and I feel so feminine and pretty in it. Plus it was cheap, which is always a bonus. I'll have to get the wrinkles out with a dry clean of course. 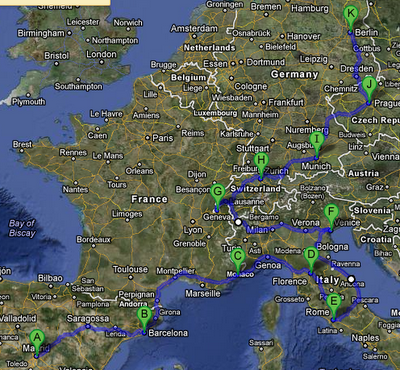 I've also started planning our mega road trip through Europe this summer. 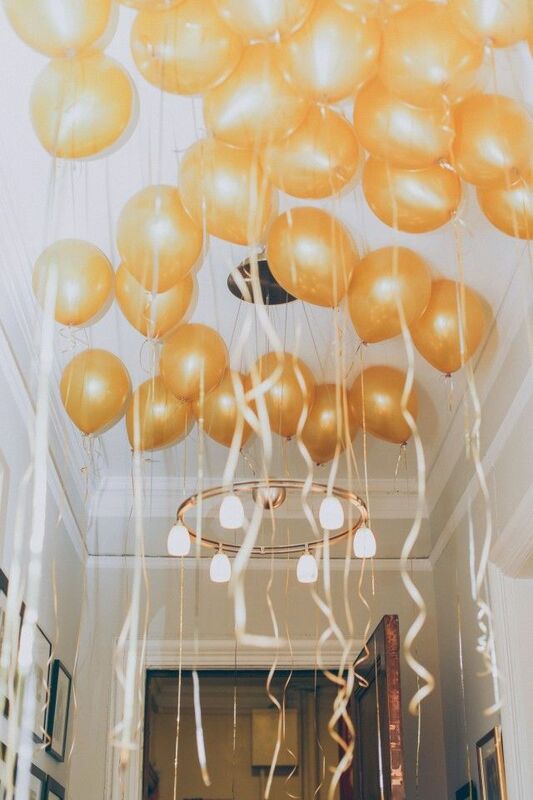 I even made a Pinterest board to start getting me pumped (as if I need to be more pumped). It's surreal to think that we'll be able to do this, and I know it'll probably be the only time in our lives that we will be. Here's our tentative plan, we'll fly to Madrid and then rent a car for the rest of the trip. Once we reach Berlin, where we'll fly back to London. We hope to do the trip in July over 2-3 weeks. We haven't done that much traveling since being in England, so this will be our big shebang. Have you been to any of these places? I would love to hear any suggestions for places to stay and things to see. do, etc. It's a little crazy researching each place and knowing which things to make a priority over others, there's just so much and we want to do it all. Please help us out! I'm excited to visit you again today, you're a magical place. I'm going to walk on your pebbly streets, admire your bell towers and take pictures of it all. Thank you for being so patient with me this week. Need I say more? I've really enjoyed interacting with you recently. Thank you for your encouraging comments and feedback. I didn't expect to find myself enjoying the blogosphere so much, but I really do. When you're living in a foreign country and away from all of your friends and family, being connected with people is huge, so thank you! Thank you for reminding me this week that it's ok to not have it all figured out and that sometimes the best and most relieving thing to do is to just admit that. You are God, and I am not, and I'm ok with that. Life is better when I just trust you. I hope you have a fantastic Friday and weekend! 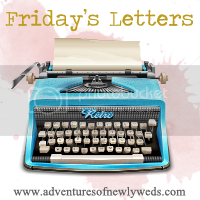 I love your letter to your Blogger friends. Having a network of people you can relate to and talk to can be really helpful. I'm not living in another country, but I just had a baby so there are certainly a lot of things that are foreign to me. Connecting with other hip moms has certainly helped make my journey a bit easier and I have my blog and blog friends to thank! That dress is gorgeous and how wonderful is your description of Oxford?! Love it! I really love your dress choice! I think Oxford is really pretty too. It must seem a world away from London. That's what I love about England, you can be in the countryside anywhere within 30 minutes. I am though English, so very biased. I'm gonna follow along I think - really enjoyed reading about your adventures. Rosie, being from the US it's tough to wrap my mind around how small the UK is. Tt starts to sink in though when you can hop in a car and quickly be out and away from the only huge city in the country. I wish we could do it all the time. The English countryside is beautiful, and I obviously love Oxford (and Bath!). :-) Thanks for commenting! 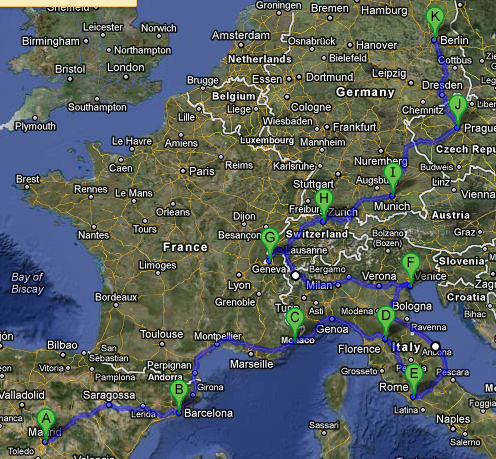 How exciting to plan a road trip through Europe! WHen you stop in Barcelona make sure you eat lots of tapas and go to Parc Guell. It's awesome and tapas are the best food ever! I love that dress! You can always re-wear it after the wedding and add fun colored belts to change it up! Your trip sounds awesome! Paris and Cyprus are the only places I've ever been in Europe, but if I ever get back there, I'd want to visit a lot of the cities that you have marked! I stopped reading after road trip in Europe.......UGH!! BE STILL MY HEART! I would die. DIE! DIE A THOUSAND DEATHS if I got to go to Europe! It is on our list of vacations to take, but we will have to save lots of money just to fly over there... YOU know. so, yes jealous! but Oh I will be stalking your blog to see all the pictures you get! thanks for linking up with me! I suppose your starting point is probably not negotiable, but in case it is, the Andalusia area of southern Spain is pretty cool. The Alhambra in Granada is amazing, and of course, once you get a little farther south, you're just not that far from the Rock of Gibraltar and Morocco! It's hard to comprehend how close everything is, right?! That's a great trip you're planning there! I have recommendations for two cities: Prague and Berlin. In Prague, try the Bohemian cooking at local restaurants. It's delicious. And Prague is great for walking. I enjoyed resting my feet at sunset while sitting right by the Vltava river. I remember a few minimalist "hole in the wall" bars on the east bank, south of Jiráskův most, that sold drinks and played music. For views over the city there's the Castle - or the TV Tower (less crowded). Berlin has a lot of history (obviously). If you're looking for an activity off the tourist trails, I recommend the Berlin Underworlds Association. They do guided tours through subway tunnels, WW II bunkers and Flak towers. In the city center bus line 100 stops at all important landmarks (see www.bvg.de). The waiting line at the TV Tower is endless and Currywurst is a must-eat. - Ok, I'll stop now :) I think I'll keep an eye on this blog to see how your trip goes.